Gold jewelry along with bullions has always played a very important role in the cultural heritage of Indian people. The yellow shiny metal is a solid indication of wealth and social ranking among various layers of Indian society making India one of the top consumers of this commodity in the world. It’s really hard to imagine any Indian wedding or ceremony without beautiful women and men adorned in exquisite jewelry. If you want to buy gold bullion in India for a good price you need to know Top 10 Factors that affect gold price in India today. 1. Historical high demand for this precious metal in India necessary to supply huge jewelry market is the number one factor affecting the price of gold in India. Gold jewelry in India is an integral part of many traditional ceremonies like weddings, festivals, celebrations and else. 2. India is also world’s largest importer from other countries. 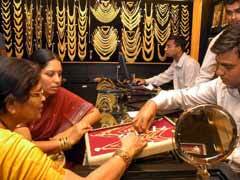 Rising or lowering import costs inadvertently affect gold price in India today. India is unable to sustain adequate domestic yellow metal production due to mine resource shortages. Currently there’s only one working gold mine in India called Kolar that can not physically satisfy high demands of the country. India’s historical gold prices had always been higher due to this fact. 3. Rising population in India triggers even higher demand for the metal driving gold price in India today even higher. 4. Due to low bank deposit interest rates, gold investment in India is a preferred method over any other investment mechanism. 5. The value of the US dollar is one of the major factors affecting gold price in India today. When the dollar is weak, the spot price of this precious metal is on the rise and vice versa. 6. World’s supply is one of the most important determining factors for gold price in India today. Once, world’s gold supply sustains production shortages due to depleting mineral deposits, the prices will soar not only in India but all over the world. 7. Any favorable or unfavorable Government policy directly affects current gold prices in India. 8. India is known to be a country of parallel economy, money laundering and large scale tax evasions. Since this unaccounted money can not be kept in banks and the value of national currency is on the downfall, Indians prefer to buy gold bullion or jewelry to protect themselves from devaluation. 9. India is a country of contrasts where lavish palaces are mixed with shacks. Poorer layers of population prefer to keep their valuable assets in the form of jewelry so it can be easily carried in times of distress, floods and social unrest. 10. World’s overall economic situation is a very important factor influencing gold prices in India. With many European countries being on the brink of bankruptcy like Greece, for example, or facing huge state budget deficits, multiple investors see gold as the only worthy commodity worth investing. If the world’s gold price is on the rise, it automatically affects Indian price for gold.